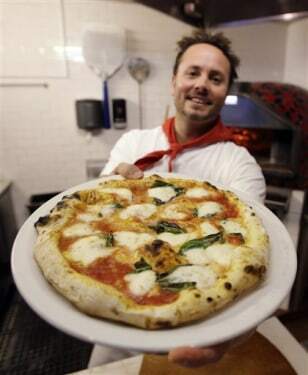 "Between all four stores, we'll do over 2,000 pizzas at least," says Tony Gemignani, who owns two pizza restaurants in Northern California. "It's a lot of pizza. It's a lot of flour. It's a lot of cheese."